(SA Insurance Plc) is a high profile, technology-driven and customer-oriented company ranking among the best and most respected insurance companies in Nigeria, both in terms of product and service delivery. SA Insurance Plc is licensed by the National Insurance Commission, NAICOM, to transact general and special risk insurance businesses. The company was incorporated in July 1981 as a Private Limited Liability Company and commenced full operations in 1982 under the name Jubilee Insurance Company Limited. The name was changed to Standard Alliance Insurance Company Limited (Standard Alliance) in August 1996. Standard Alliance became a Public Liability Company (Plc) on 30th May, 2002 and was quoted on the Nigerian Stock Exchange in December 2003. 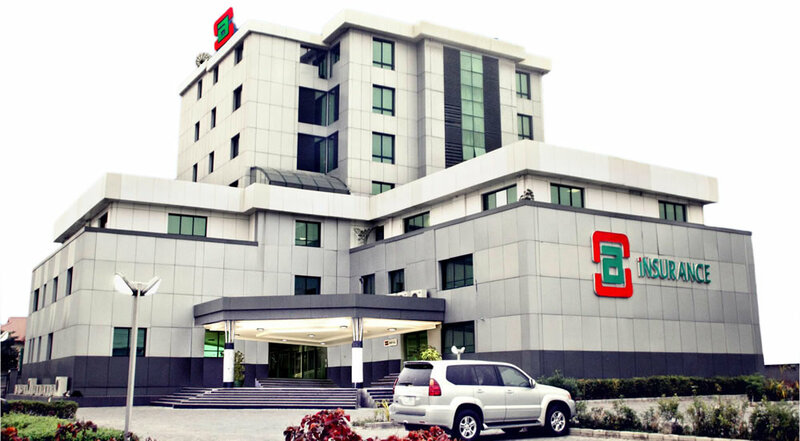 The Company has an authorized capital of N7bn divided into 14bn ordinary shares at 50kobo each. As at December 31st 2014, total paid-up share capital stood at N5.996bn; total assets of N7.721bn and Shareholdersâ€™ funds of N3.417bn. The companyâ€™s Premium written as at the end of 2014 was N4.333bn. The companyâ€™s operations are fully automated with seamless integration between units embedded in world standard applications, which reflects a commitment to use technology to drive excellence in service delivery. Furthermore, the company operates under the revolutionary concept of total quality management (TQM). This guarantees that we get it right first time every time. Our dynamic Board of Directors is headed by Mr. Johnson Egu Chukwu, an accomplished banker and a financial analyst of reliable reference. In addition, the company boasts of a management team of tested professionals with proven records in their respective fields and it is led by Mr. Bode Akinboye, a long-standing insurance practitioner with proven records. To achieve our objective of providing relevant insurance covers, we have re-insurance treaty arrangements with first class re-insurance companies both locally and internationally. The capacity of our treaties is top class and calculated to achieve our â€œCustomer Full Protection Driveâ€. Our foreign treaty is led by Africa Reinsurance Corporation. Our claims payment policy is to PAY PROMPTLY. This reflects our general TQM approach to service. Accordingly, our Claims Department is staffed by experienced and service-oriented professionals who ensure claims payment is prompt and less cumbersome at all times. We have a crack team of professionally qualified and experienced personnel that handles all the classes of insurance identified under â€œProductsâ€. This, alongside the computerized systems that we operate, guarantees that we deliver quality service at all times. Our Research and Risk Management departments can do a lot to cut down on both your insurable risks and insurance costs. This department acts as a consulting unit to clients. On appointment, they study the operations of clients and make practical cost-saving recommendations for implementation. These are mainly UNUSUAL RISKS. They exist and may already be disrupting clientsâ€™ businesses. However, they may currently be considered uninsurable. Again, our team of consultants can, on review of clientsâ€™ operations, advise on these unusual risks. If subsequently insured, this will avert such disruptions. This group includes the first officer you meet at our door. This primary orientation ensures our services work efficiently for all our clients. Our front-line staff are adequately empowered to attend to on the-spot issues and resolve them or to secure an appropriate executive who can handle the issue at hand. This group is also empowered to monitor and evaluate the quality of service delivery to our clients. This group is responsible for selling full protection to our clients at industry approved minimal cost. Their job is to educate and explain our various products and adapt these products to specific clientsâ€™ needs. In addition, they are constantly researching new ways of giving more value to our clients. Their watchword is quality service delivery. This group forms the companyâ€™s backbone. They deliver the final product to clients and implement the commitments secured by the Marketing Group. Their primary focus is to ensure that the company delivers promptly on each promise made to a client. That is why we can confidently invite our clients to count on us. This group focuses on developing new products for the insuring public and on providing consultancy service to our clients. Their main objective is to give our clients more value at minimal cost. New products tailored to meet our clientsâ€™ increasingly sophisticated needs is the companyâ€™s specialty.